Since the summer, WriteBoston (an affiliate of the Office of Workforce Development) has provided twice-monthly literacy instruction trainings to City Year volunteers – young people who dedicate a year to working full-time in schools with students who need extra attention. The volunteers tutor students, mentor them outside of class, offer in-class support, and follow-up with families to ensure attendance. Three City Year members work on a group exercise at a November WriteBoston training. A former City Year program manager, Josh Waxman, first spotted that need while working in the McCormack Middle School in Dorchester, where Gerson then worked as the school’s literacy director. After attending one of her McCormack teacher trainings, he invited Gerson to train the school’s City Year volunteers. Initially, she only trained those corps members assigned to the school. But when Gerson arrived at WriteBoston last summer as the new director of programming and training, she forged an expanded collaboration between WriteBoston and the whole of City Year Boston. Through WriteBoston, Gerson now trains nearly 200 City Year volunteers who reach over 1,000 students across Boston Public Schools. 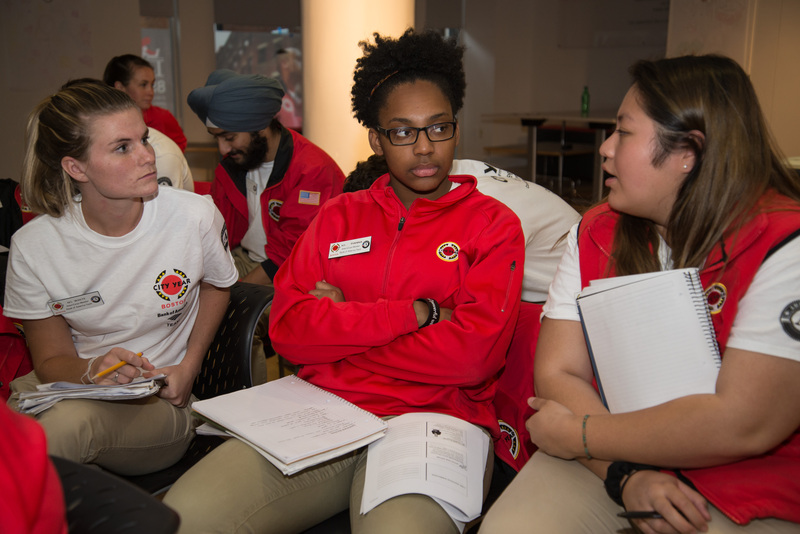 While she draws on WriteBoston’s training materials for teachers, Gerson also tailors sessions for the particular concerns of City Year members. When she asked which areas they wanted training on, corps members requested, for example, strategies for encouraging outside reading among students, and unobstrusive ways they could help students in the middle of a class. In a typical training held at City Year headquarters, Gerson begins by asking volunteers to share moments with students that remind them why they do their work, before delving into the content matter. In a training on revision strategies, for example, Gerson might lead a discussion on the pitfalls of revision and possible solutions, share examples of ineffective instructor feedback (from her own early years as a teacher), provide a handbook of specific strategies for encouraging revision, and let corps members practice giving feedback themselves on fresh student work. Outside of trainings, Gerson often fields emails from corps members seeking advice. 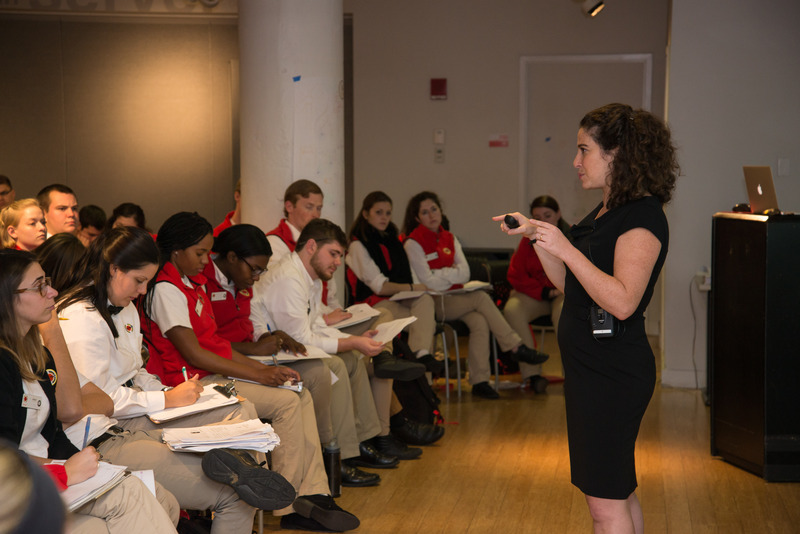 WriteBoston’s Jessie Gerson trains City Year members on reading and writing instruction at City Year headquarters in November. Those benefits may last a lifetime, considering many City Year volunteers go on to enter the fields of education or social work. While WriteBoston has previously partnered with non-profits, they have been relatively few. Gerson is currently in talks with other non-profits about partnering with WriteBoston. “Given our mission to impact the writing experience of as many students as possible, we’ve realized there are a lot of educational partners that work in schools that would really benefit from this training,” she said. One organization with which she has already brokered a new WriteBoston collaboration is the United Way of Massachusetts Bay and Merrimack Valley, where Josh Waxman serves as the director of community impact. Gerson trains youth workers across 13 United Way-funded organizations on tutoring and mentoring young English language learners in after-school programs. As for City Year, the organization plans to continue its collaboration with WriteBoston, confirmed Rae Alexander, director of learning and development at City Year Boston. The feedback from corps members has been overwhelmingly grateful and enthusiastic.